Within the granite and brownstone walls of Providence’s imposing Gothic courthouse, Manuel shifts nervously from foot to foot. For the second time this year, Manuel stands alone before a judge, awaiting his sentencing. The son of Portuguese immigrants, Manuel’s struggling family has no money to spend on an attorney; the right to free legal counsel is decades away. Earlier in 1925, Manuel had been arrested for violating property rights and committing theft. This time, he was picked up by the Providence Police Department because of truancy. After reviewing Manuel’s record and listening to the testimony of the arresting officer, the judge is finally ready to announce his sentencing – “Six weeks at Sockanosset.” As the judge slams down his gavel, a look of relief creeps across Manuel’s face. 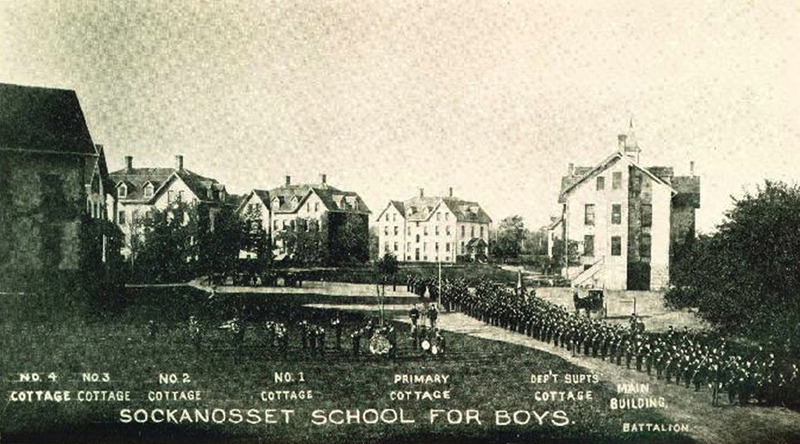 From 1881 until 1985, the Sockanosset School for Boys served as a juvenile detention facility and reformatory. Rhode Island citizens had first determined the need for such a facility as early as 1847, when the Providence City Council approved the establishment of a school for the “confinement, instruction and reformation of juvenile offenders and young persons of idle, vicious or vagrant habits.” For three decades, children of both sexes were sent to the Providence Reform School in Tockwotton House in the city’s Fox Point neighborhood. By 1880, however, concerns over the school’s management and new approaches to “reforming” juvenile delinquents led to the creation of two new institutions: the Oaklawn School for Girls and the Sockanosset School for Boys. In 1881, construction of the new boys’ school began on the Howard Reservation in Cranston – a site that already included the State Asylum for the Incurable Insane, the State Prison and Providence County Jail, and the state-run almshouse. Five stone cottages were built between 1881 and 1895, each with its own schoolroom and a dormitory intended to house up to fifty boys. The school complex also included a house for the Sockanosset Superintendent, an infirmary, a gym, and an elegant stone chapel. By locating the reformatory on pastoral land away from corrupting urban influences, the founders were following the prevailing doctrine of the nineteenth century: urban chaos and idleness engendered lawlessness. With that belief foremost in their minds, the school’s administrators kept the boys busy on the Howard Reservation’s 225 acres of farmland. 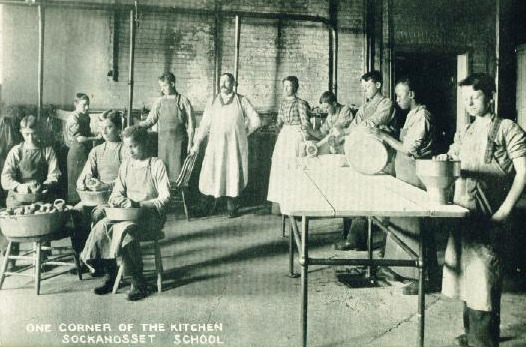 Sockanosset slowly shifted from a reformatory designed to contain and discipline the unruly to a school where classes and vocational training focused on preparing boys for life after Sockanosset. A key part of this training were the vocational classes offered by accomplished craftsmen. At one point, Sockanosset boasted a blacksmith shop, a carpenter shop, a farm school where they raised much of the food they ate, and a printing shop where they printed The Howard Times. 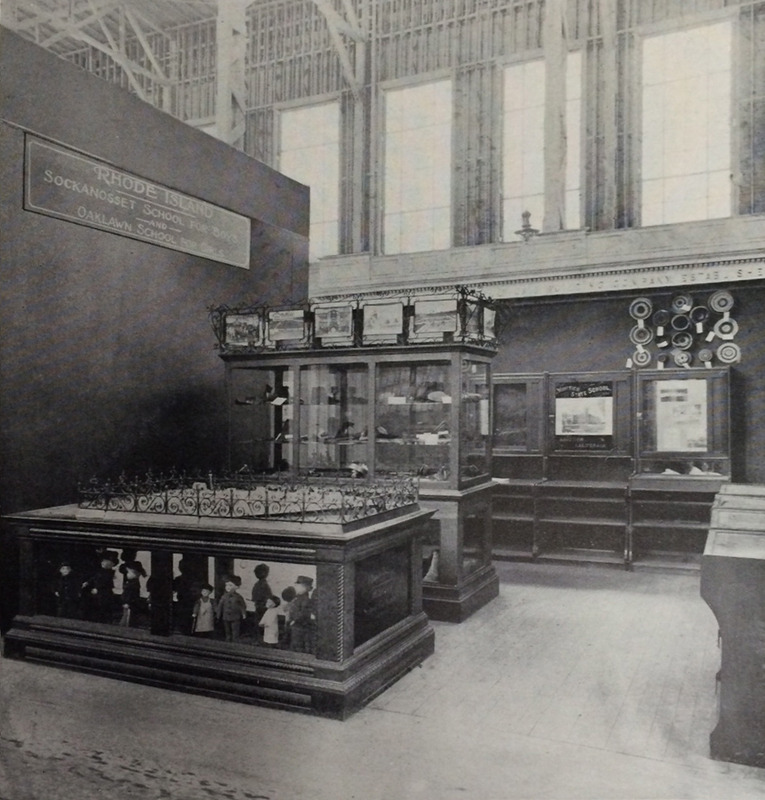 Items created by boys at the school were the showpiece of the Rhode Island exhibit at the 1893 Columbian Exposition in Chicago. During its height in the early twentieth century, Sockanosset was known as a respected vocational school. Some boys may have been truant or committed minor offenses in hopes of being sentenced to Sockanosset. As in Manuel's situation, boys being sent to Sockanosset knew they would receive regular meals and practical vocational training. As the century progressed, however, a lack of funds and overcrowding at the school necessitated the termination of the very programs that had made Sockanosett so forward-thinking for its time. After over one hundred years of operation, the school finally closed in 1985. One Corner of the Kitchen: Boys at the Sockanosset School raised most of their own produce and were also assigned to work in the kitchens. Particularly during the Great Depression in the 1930s, some of the boys considered themselves fortunate to be at the school, where wholseome, hearty meals were served regularly. 1904 Rhode Island Board of Charities and Corrections Exhibit: In 1904, Rhode Island appropriated $60,000, for its state exhibit at the St. Louis World’s Fair. As in previous years, the Rhode Island Board of Charities and Corrections created a substantial display that highlighted the work it accomplished, including that at the Sockanosset School for Boys. The exhibit earned a grand prize and the school also received a silver medal for its work. Sockanosset School Chapel: After the school's closure in 1985, the buildings decayed rapidly. Within the last deacde, however, the property was acquired by private developers who have integrated some of the extant school buildings into a new shopping plaza. 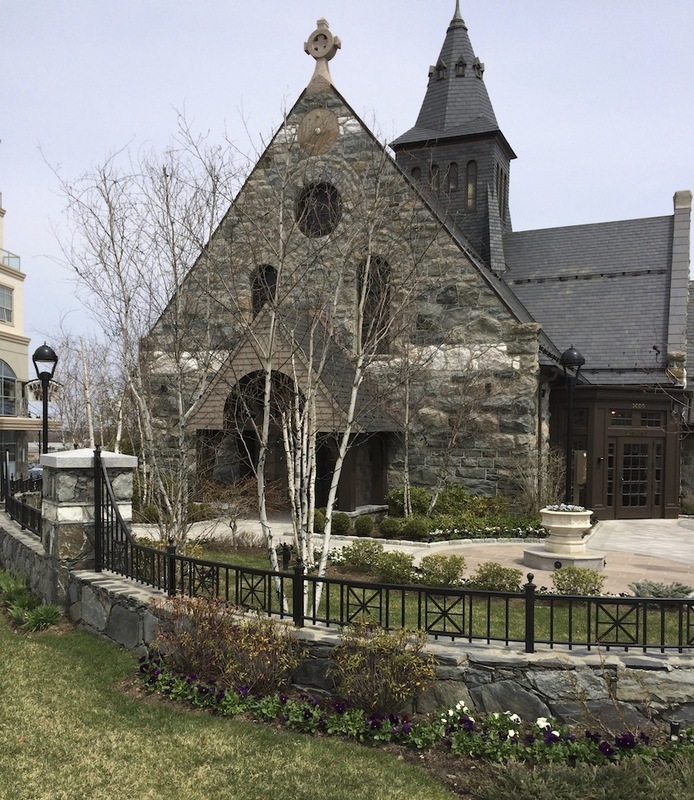 The centerpiece of the restoration work is the school's chapel, which has been converted into the elegant and upscale "Chapel Grille Restaurant." Ariana Alicea and Sandra Enos, PhD, “"From Broken or Badly Bent Homes",” Rhode Tour, accessed April 21, 2019, http://rhodetour.org/items/show/29. Abbott, Elizabeth. “A Reform School, Reborn: A Fresh Start as Housing, Shopping and Office Space.” New York Times. May 5, 2009. Field, Edward, ed. State of Rhode Island and Providence Plantations at the End of the Century: A History, Volume Three. Boston, Massachusetts: The Mason Publishing Company, 1901. Rhode Island Historical Preservation Commission. Statewide Historical Preservation Report P-C-1 for Cranston, Rhode Island. Providence, Rhode Island: State of Rhode Island, 1970.